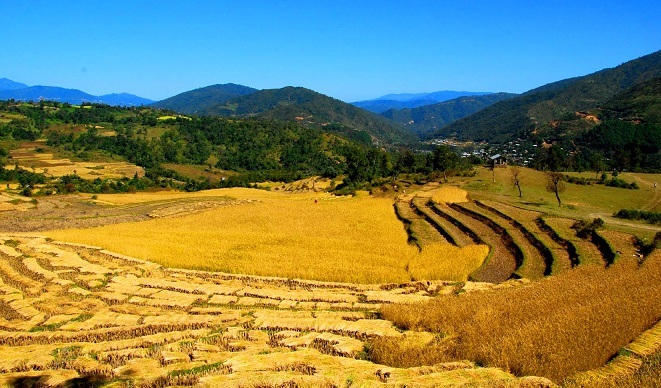 The Central Agricultural University (CAU) in Manipur has developed a roadmap to realize Prime Minister Narendra Modi’s vision to double farmers’ income in the Northeast particularly in the four hill states, Prof M Premjit, vice chancellor of CAU said. “We’ve developed many research based strategies which include selection (as well as production) of quality seeds, mechanization of farms and integrated farming system(IFS) besides encouraging family based farming for achieving the goal of doubling farmers’ income,” says Prof Premjit who chairs a committee for roadmap development for Manipur, Mizoram, Nagaland and Tripura. “We’ve even submitted a report to the Centre in this regard for its implementation,” he added. Among the strategies, Integrated Farming System (IFS) is a farming practice meant for all-round development of agriculture with animal husbandry and other occupations related to core agricultural practices since farmers in the Northeast have small land holdings. IFS can be taken up with fishery and piggery along with rice cultivation or fishery with vegetable and rice based on the locations of the fields as it has the capability to make the sector profitable and double the income. He also informed that IFS can help in reducing the jhum cultivation areas in the region as well considering its potentials. Manipur’s total jhum area is said to be around 1,22,147 hactres in 2017, according to Manipur Remote Sensing Application Centre. About four lakh families practice jhum cultivation covering land area approximately 3,86,300 hactres annually in the Northeast region. “We also need to focus on quality endemic crops – pineapple, orange, ginger, lemon and passion fruit which are our pride in the country by giving skill development on value addition and processing techniques,” vice chancellor of CAU, the biggest agricultural university in India with 13 affiliated colleges, said. “Besides we need to introduce agri-tourism by developing small huts inside the orchard or farmland etc to motivate the youths and control migration to other parts,” he further added. “But the government alone cannot provide quality seeds for successful implementation of such strategies including IFS considering the lack of assured irrigation in region.